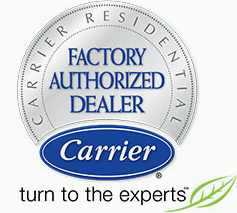 In early 2008, Palm Air entered into operations and quickly became one of South Florida’s most trusted AC contractors. Our team is dedicated to ensuring that you breathe cleaner, colder, more comfortable air. Our technicians represent the quality of excellence we stand for each day they’re in the field. Add to that the fact that our technicians have been NATE certified, you can begin to understand why Palm Air stands a cut above the rest. Congratulations to Ezekiel Mejia-Garcia aka Zeke, one of our technicians who was recently awarded his NATE certificate. North American Technician Excellence (NATE) is an independent, third-party non-profit certification body for HVACR (heating, ventilation, air conditioning and refrigeration) technicians. It is the nation’s largest non-profit certification organization for HVACR technicians. 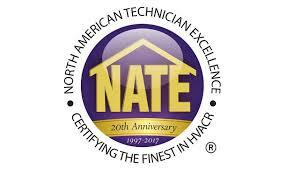 NATE is the only technician certification organization governed, owned, operated, developed and supported by the HVACR industry. 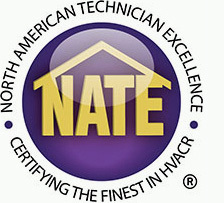 NATE certified technicians have real world working knowledge of HVACR systems. Candidates are tested and have the ability to earn installation/service certification in one or more specialty areas. NATE certification tests are developed by the NATE technical committee, which is made up of industry experts who developed and oversee NATE’s Knowledge Areas of Technician Expertise (KATEs). The technical committee represents a wide variety of perspectives including contractors, educators, manufacturers, and utilities. At Palm Air, we have a unique and thorough training process for new technicians. Our emphasis is on ensuring that technicians get the job done right the first time, stressing efficiency, reliability and professionalism. Our technicians are NATE certified and go through a rigorous training process before they are allowed into the field. Our team of technicians can best be described as a hard-working group of friendly, certified, experienced and knowledgeable individuals. Over the years, NATE has become a household name when discussing the quality of HVAC technicians across the US, much in the same way that Palm Air has become a household name when discussing quality HVAC service in South Florida. We are committed to excellence. We pride ourselves in being a breath of fresh air for our South Florida clients. Palm Air is excited to celebrate 10 years of quality service and we look forward to the opportunity to continue to provide “Cleaner, Colder, More Comfortable Air” for many more years to come.